2015 marks the 70th Anniversary of the victory of World Anti-Fascist War, 70th Anniversary of the founding of the United Nations and 70th Anniversary of the establishment of UNESCO. 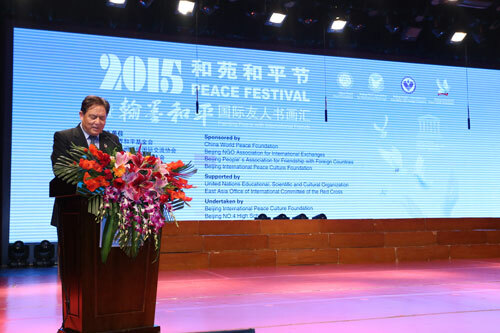 On 21st,Sept., the International Peace Day, China World peace Foundation, Beijing NGO Association for International Exchanges,Beijing People’s Association for Friendship with Foreign Countries and Beijing International Peace Culture Foundation held the 2015 Beijing Heyuan Peace Festival (2015) & “Painting Peace with International Friends” Calligraphy and Painting Show in Beijing No. 4 High School. This event was composed of the following variety of excellent activities: “Painting Peace with International Friends” Calligraphy and Painting Show, Peace Forum, Launching ceremony of the youth photography contest themed “World Cultural Heritage in My Eyes”, etc.. Over 500 guests from home and abroad attended the event, among whom were 130 diplomats from 70 countries (including about 20 Ambassadors), officers from International Organizations, representatives from overseas enterprises as well as international friends. 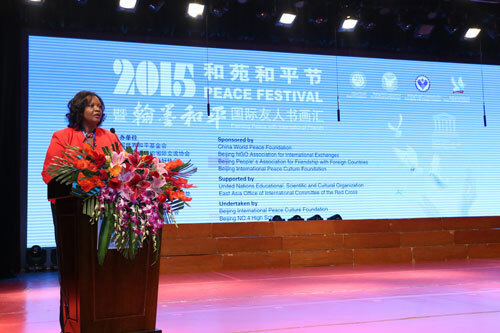 H.E.Madame He Luli, the Ex-Vice chairman of the National People's Congress, honorary president of Beijing People's Association for Friendship with Foreign Countries attended the Opening Ceremony of Peace Festival and let fly peace doves with distinguished guests from home and abroad. 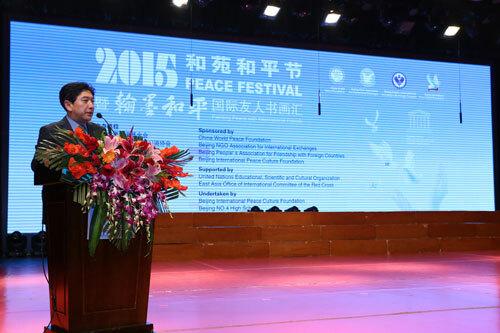 On Heyuan Peace festival, Mr. Li Ruohong, the chairman of China World Peace Foundation declared the opening of Peace Festival. And then Mr. Zhaojiaqi,the ex-chairman of Beijing People’s Association for Friendship with Foreign Countries, delivered a speech. 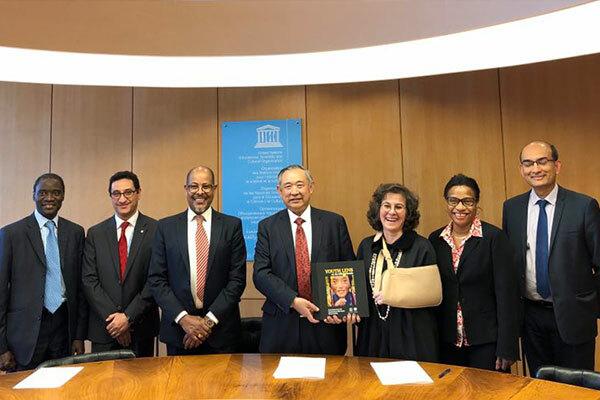 Ms. Eunice Smith, Officer-in-Charge of the UNESCO Office to China, read out the message from Ms. Irina Bokova, Director-General of UNESCO. 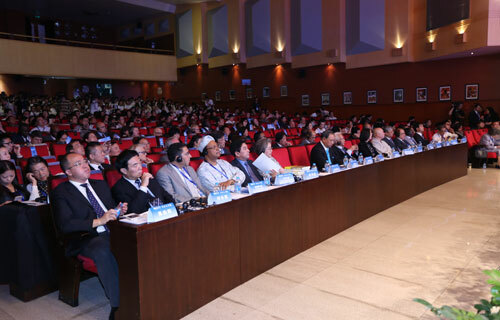 During the Peace Forum, speeches were given by H.E.Mr.Masato Kitera, Japanese Ambassador to China; Mr. Shui Junyi, famous CCTV host; Mr.Patrick Baseden, descendant of the French philosopher Charles de Montesquieu; Ven. Master Yuanzheng, Master of the Buddhist Academy of China, as well as Chinese and international students, on topics of “peace, the common wish of all the people”, “integration of cultures, corner stone for world peace” and “safeguarding peace, the unshakable responsibility of the younger generation”. 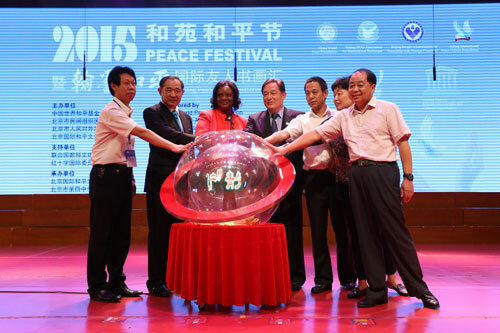 The Heyuan Peace Festival hails from Heyuan Peace Garden Community, which was described by the international society as a “mini-UN”. 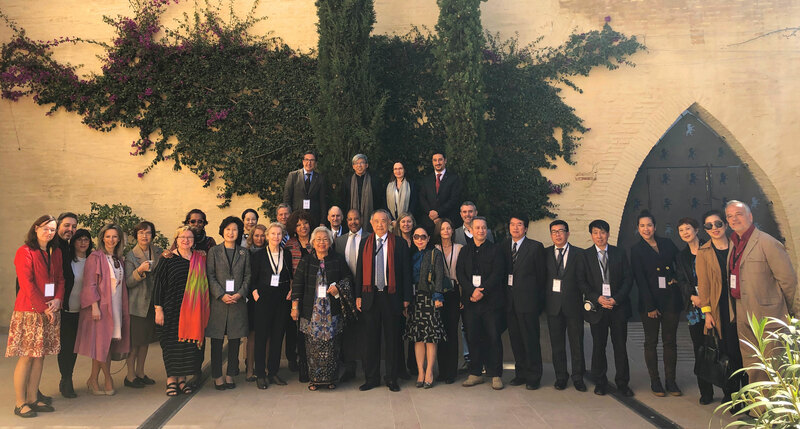 Governments and NGOs hold international forums and peace gatherings as a part of international governance.Our“Peace+1” initiative advocates multi-laterality, inclusiveness and sustainability, which was demonstrated fully in this peace forum. Each guest exchanged their observations on peace from different perspectives. 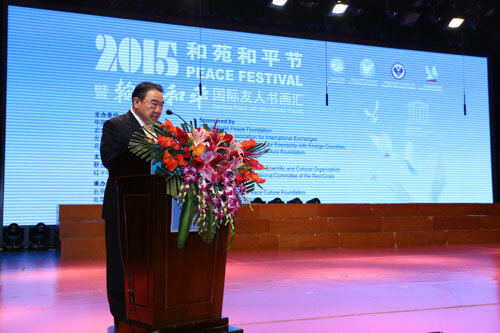 Japanese Ambassador said in his speech that the people to people exchanges are no less important than top level dialogues in terms of developing Sino-Japanese relations and that those who have the experience of common sentiments would easily develop sympathy towards each other and would less easy have conflicts. 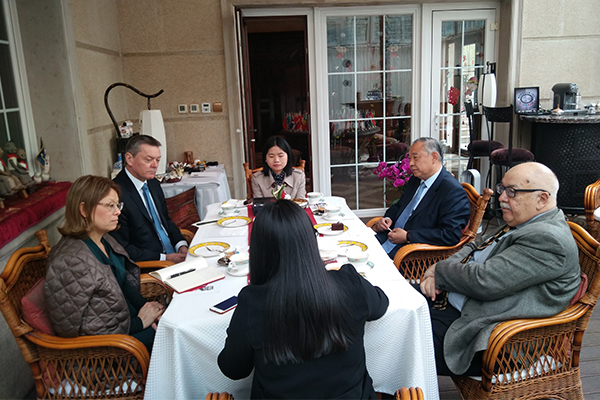 Mr. Shui Junyi, the popular CCTV host explained from his experience as a news reporter in the Irap war that war is never a game and that its devastation to human dignity is lasting. Whatever the situation is, war should always be the last resort! Mr. Patrick Baseden, the decendant of the French philosopher Charles de Montesquieu has inherited the spirit of his family and made Montesquieu’s ideal “the natural effect of commerce is to lead to peace” a reality.As Chairman of Montesquier Vins&Domaines (Bordeaux-France), Mr. Baseden announced on the forum that, he would establish the “Montesquier Fund for Education” with China World Peace Foundation to invest in the education of less favored children in China. During the Painting Peace with International Friends, artists and calligraphy lovers from China, Japan, Republic of Korea, Indonesia, Thailand, Italy, Spain, Mauritius and other countries created their works themed “world peace”on a long scroll, demonstrating the spirit that “harmony is the most precious”and “all countries should live side by side in harmony”.The scroll was then presented to UNESCO by the host of the activity. Mr. Xiong Daxin, deputy Chief of China NGO Network for International Exchanges, deputy Chairman of the 11th CPPCC Committee of Beijing Municipality , Chief of Beijing NGO Association for International Exchanges pointed out that “art is boundless”and hoped that calligraphy enthusiasts of all countries, all regions, different cultures, different ethnic and religious backgrounds can enhance understanding towards each other and consolidate friendship based on this gathering, so as to further contribute to world peace. At last, Chinese and foreign actors performed semichorus, solos, dances and played traditional Chinese intruments, making the show into an multi-ethnic,inter-faith and multi-cultural integration. 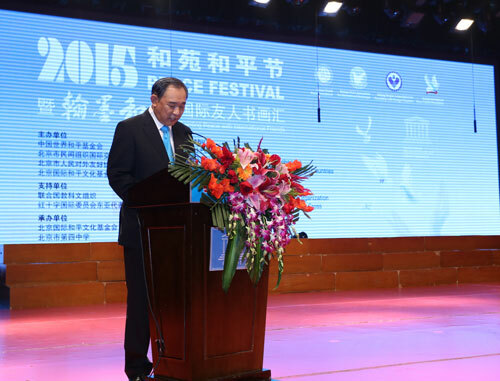 The MC of this Peace Festival ceremony was Mr. Xu Bo, Consultant of the Department of UNESCO Strategic Development. 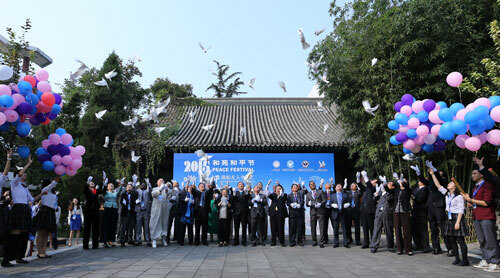 UNESCO, East Asia Office of International Committee of the Red Cross sponsored the event. Co-hosts include China NGO Network for International Exchanges, China Public Diplomacy Association, United Nations Association of China, China Society for People’s Friendship Studies, China Committee of Corporate Citizenship, Beijing Association for Trade in Services, Art Education Committee of Beijing Municipal Edu. Commission, Education Commission of Xicheng District, Beijing, Beijing Peace Garden Museum, Beijing Calligraphy Training School, Professional Committee of China Oriental Culture Research Association Cultural and Educational Art. 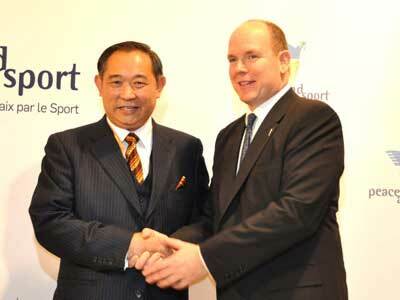 The Chinese and international guests attending the festival highly commended this event. In their views, it was of great significance to fly peace doves, pray for peace and reduce conflicts on this day. Peace is the common wish of the people all over the world.It’s the dream of our hearts, song of spring , smiling faces of children. On the International Day of Peace and Heyuan Peace Festival,let’s ring the bells of peace together.Let’s turn swords into ploughs and let there be peace forever!